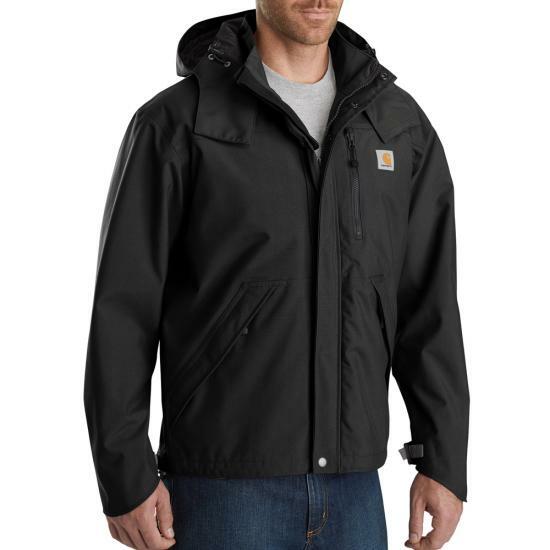 Use Carhartt's Shoreline coat not only when it's raining, snowing, sleeting, etc. but also as a great lighterweight jacket option. It's fully taped waterproof seams keep you dry all day long. This was the only Christmas request present made by my dad. He is a farmer and loves the fit of this jacket. It's not to heavy that he is able to move around freely and he loves the deep pockets to carry meds to his cows in. My oldest brother had one and my dad had "borrowed it". So now he can have his own and return my brothers. This jacket is awsome !! Bought for my husband, he loves this jacket great for snow blowing and working outside to keep you dry and is very durable. This is one great jacket! Tried this jacket on at a local big box and it was big on me. 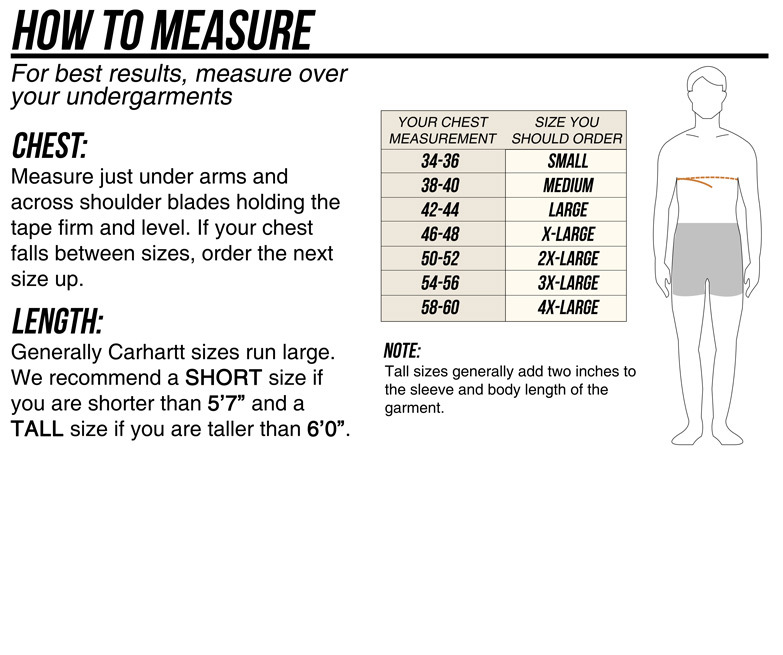 I'm 6'3" and 285 and a large /tall fits nice,but I will layer in the winter so I got and xl/tall. I ccw so the tall will help with concealment. I was initially very happy with the jacket until I had to use it in the rain. Not water resistant. After working 8 hours in the rain, the jacket was totally soaked through. I had even sprayed it with water-resistant Gortex spray, and that didn't help. Well-built and well-designed, but just not waterproof, as advertised. 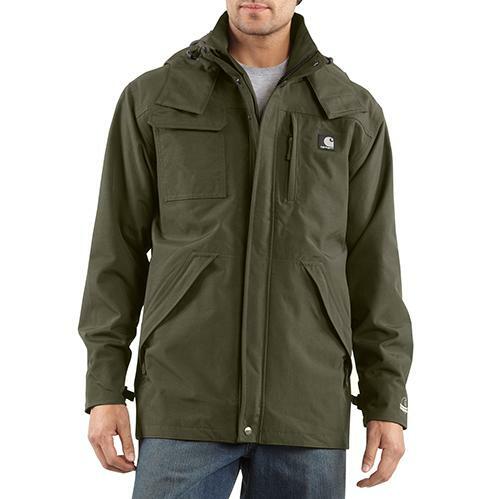 This jacket is well designed for its' purpose-keeping rain at bay. Material is thick enough to hang well in wind, but not so thick to over heat in warmer weather. I plan to add layers as needed for colder temps. Working in the Fraser Valley during the winter months is very wet. After trying other breathable "waterproof" jackets, I was ready to buy a rubber suit and suffer in my own sweat. The shoreline series is incredible for both warmth and dryness. Great for windy and rain condition. I have worn it on the warm rainy days and -20°C windy days. Have not been cold or over heated, the jacket is great at regulating temperature. Bottom line, keeps you dry and warm no matter what! Get this jacket. I now own 3. I use them all year round, over a sweatshirt in winter and a Tee in summer. I work construction, they get hard use and really hold up well. easy to wash and the they look like new. you wont be sorry. Very nice coat, size run big, but very comfortable.